As a business owner, you make smart, well-informed decisions and prepare for every circumstance. While you contemplate other decisions for the benefit of your business, the question is... are you sufficiently well-prepared when it comes to protecting your business's critical electric systems? As a Tampa area businessperson, would you say you have complete peace of mind about that? Interlock Electric offers premier power solutions for those crucial systems along with meticulous planning and workmanship, and a spirit of service unmatched in the industry. So whether you are pulling an all-nighter or taking the day off, the security of protecting the ongoing operation of your critical business systems is the very definition of peace of mind. Interlock Electric, Inc. has been providing electrical services, electrical wiring and Kohler standby generator systems for business professionals in the Hillsborough, Pasco and Pinellas counties for over 30 years. Managing your critical electrical needs for your business, becomes effortless when you have a highly skilled and experienced, and insured commercial electrical contractor team. 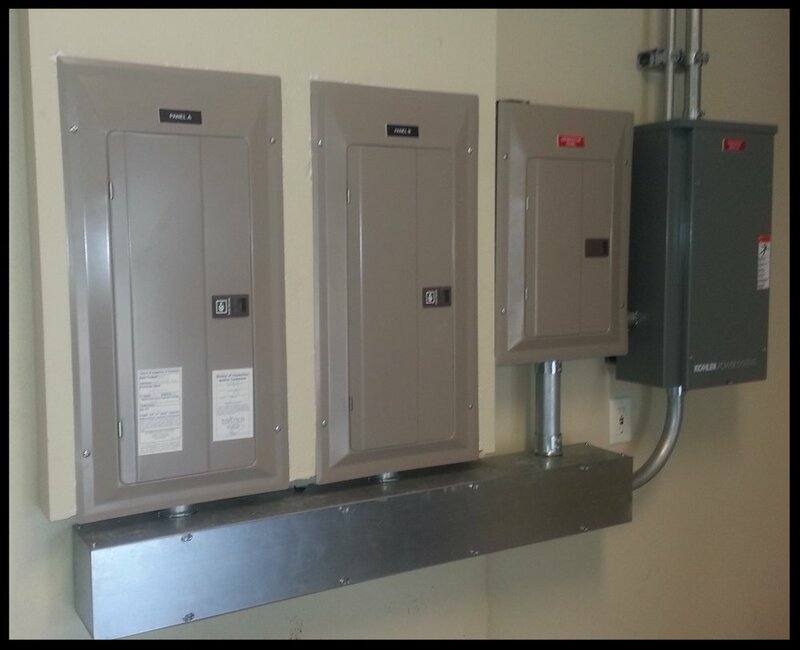 As electrical contractors who specialize in commercial development and retail tenant commercial space build-outs, we offer computer cable wiring installations, electrical panel installations, lighting upgrades and other wiring needs. Interlock Electric, Inc. is Tampa's choice for commercial developments such as the Ferman BMW Dealership IN Palm Harbor. Interlock Electric, Inc. has been providing electrical services for decades, our focus on commercial developments has positioned us at the leading edge of Florida's phenomenal growth. Some of our projects have included Grand Plaza Office Center, Tampa Renal Physicians Clinic, Gulf Controls, Essendant, and AC4S. We have partnered with many of Tampa Bays's auto dealerships such as Ferman BMW of Palm Harbor, Ferman Nissan, Ferman Mini, Parks Lincoln of Tampa, and Crown Auto. We have also worked in many retail spaces such as International Plaza, The Shops at Wiregrass in Wesley Chapel, and Westshore Plaza.